What can you do to get your people involved in ministry? 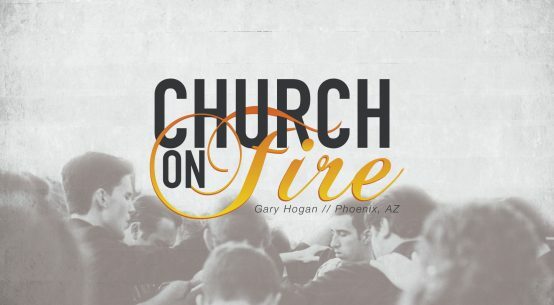 “Make it popular to participate,” says Pastor Terry Baughman of LifeChurch in Gilbert, Arizona. “Acknowledge those who are working in the kingdom. Make it sound like everyone is involved and encourage others to join in. I’d call it the ‘band wagon’ approach. Finally, according to Pastor Baughman, you must trust Him! “He is already in the future. In feast or famine, plenty or poor, addition or subtraction, God is there, and He works all things for our good (Proverbs 3:5-6). “Our ministry team has proven to be extremely valuable,” says Pastor Baughman. “God blessed us with capable leaders, and I have shared the vision God has given me with them. They have embraced it and taken ownership of their areas of responsibility. I try to affirm them and stress appreciation for all their hard work. They are all volunteers but work like they are getting paid. “Within the first year, we expanded the ministry team to a leadership team. Whenever possible we try to incorporate the spouses of team members who are married. Together they are more effective, and it serves to strengthen their relationships when they are working in ministry together. The church website includes an extensive list of ministries offered or being developed: www.lifechurchaz.net/Ministries.html. Pastor Baughman says, “We are constantly working on better communication. We produce a monthly calendar and a weekly print bulletin which we make available online on our website. We try to get something in the hands of every visitor that will connect them to LifeChurch (and the website) and remind them to come back. We try to get contact information from every visitor. They will get an email or letter or both within a week of their visit. I keep a list of visitors in my iPhone so when they come again I can check my list to remember their name and something about them. “I like to think I can minister to anyone, but in our ministry God has allowed us to be involved in mostly renewal and restoration,” says Pastor Baughman. “There is a multitude of hurting individuals around us. Some have been mistreated by churches, some have lost their faith, and some have grown distant in their relationships with God. We spend a lot of time and ministry rebuilding faith, reassuring people of God’s love, and watching them be transformed in newfound faith.